A security officer at The Warehouse has won her job back, in a decision her employer has labelled “disappointing”. A security officer at The Warehouse has won her job back, but the nationwide business has confirmed it is “disappointed” with the court decision forcing it to re-employ her. Margaret Harris, a security worker with 25 years experience, was involved in a verbal altercation with a customer at The Warehouse's Kaikohe store in February 2013. Harris had asked the customer, who had a dog with her, to leave the store several times, as dogs were not permitted. During the melee that followed, the customer alleged that Harris called her husband an “arrogant p***k”, prompting The Warehouse to launch an investigation. 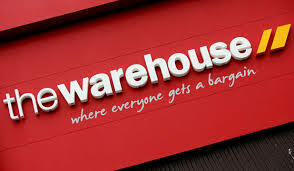 The Warehouse found Harris guilty of serious misconduct and her employment was terminated, even though Harris – who conceded she had told another employee the customer was arrogant, but denied saying it to his face – had offered to write a letter of apology. The Employment Relations Authority (ERA) found the incident was one of serious misconduct and that The Warehouse had carried out a proper investigation, but also found the decision to dismiss her was not fair or reasonable, given Harris' positive track record and the fact she believed she was carrying out her proper duties. They did not award any remedy, owing to Harris’ contribution to the situation. Both parties challenged the ERA’s decision and this week, the Employment Court found that Harris was dismissed unjustifiably, with Judge Graeme Colgan saying he found it “improbable” that she had used the phrase alleged. Judge Colgan ordered The Warehouse to reinstate Harris’ employment to the role of loss prevention officer or similar, ordering the company to pay Harris $4,000 compensation. “I can't wait to get back to what I have always done and the work I really enjoy,” Harris said, adding that the journey to get her job back “hasn't been easy”. Who is most prone to work-related injuries?